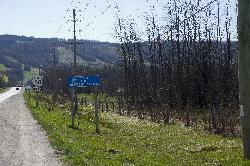 This welcome sign is located at the base of the hill next to the club house of the Toronto Ski Club. 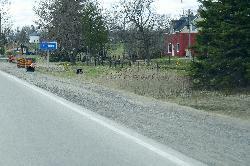 Main entrance sign at New Lowell Campground in New Lowell Ontario. The club house of Toronto Ski Club, located at Blue Mountains near Collingwood. 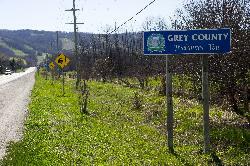 Photo of The Town of the Blue Mountains population sign, travelling west on County Road 19 in Grey County. 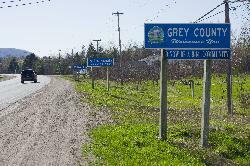 Near intersection of County Road 19 and Osler Bluff Road. The Blue Mountains are in the background. from site: It started in 1924 with a trailblazing membership that made it their mission to explore and ski as much downhill terrain as they could find, and who ultimately played a pivotal role in the establishment of skiing on the Niagara Escarpment.